MV2400-S Advance Type M800 is a part of the most innovative and user-friendly wire EDM machine series on the market. The MV2400-S features our continued dedication to high precision and innovative technology with the highly reliable non-contact Cylindrical Drive System on the X & Y axis drives. 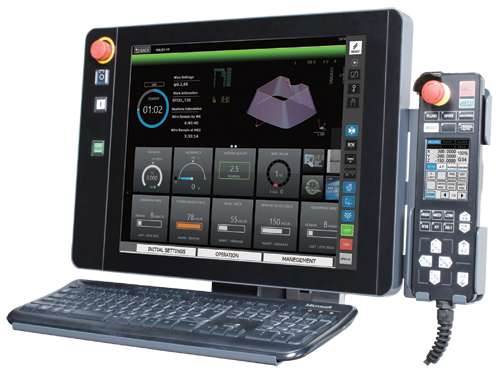 The MV2400-S uses the new Mitsubishi M800 series control with a 19-inch cell phone like touchscreen—providing easier user interface than previous models. With advancements in machine construction and power supply technology, the MV2400-S is sure to revolutionize EDM machining and increase your shop's productivity.